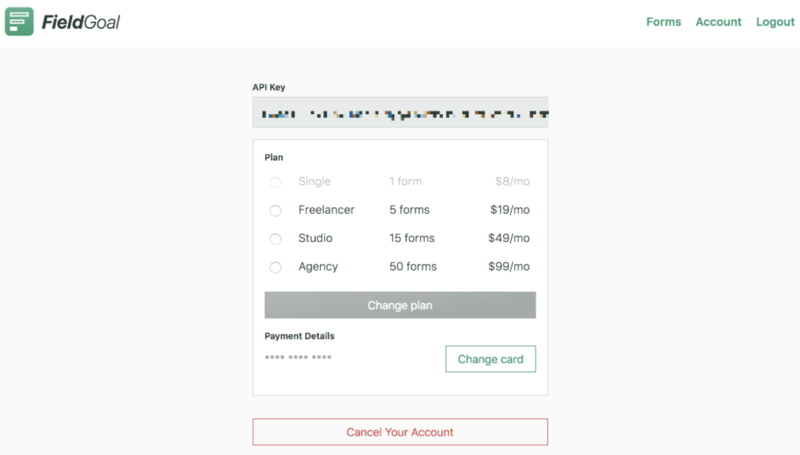 New Form Submission - Triggers when your form receives a new form submission. 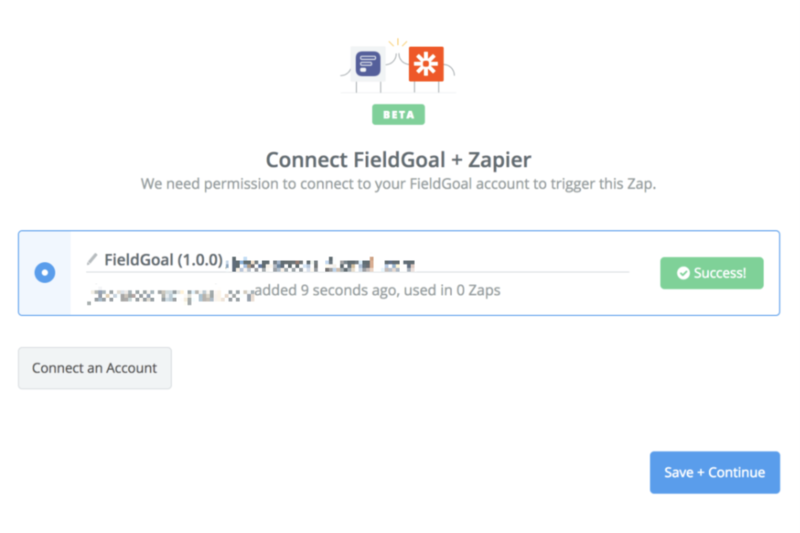 When you start creating a FieldGoal Zap, you will be asked to connect your FieldGoal account. Next, you'll be asked to enter your FieldGoal API key. 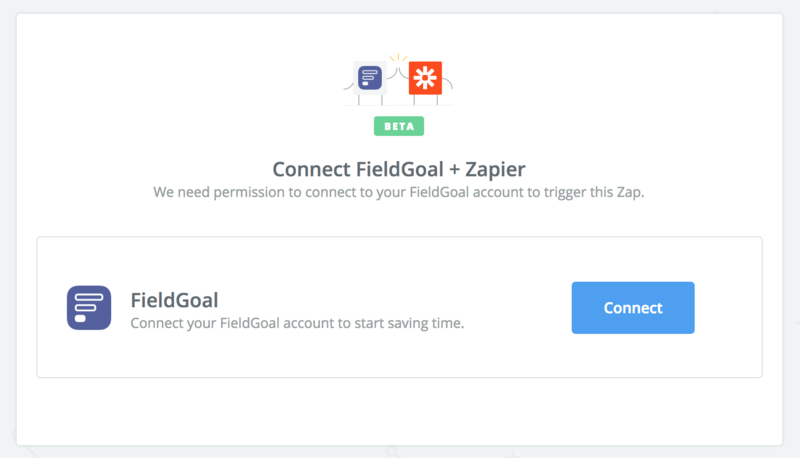 Log into your FieldGoal account. 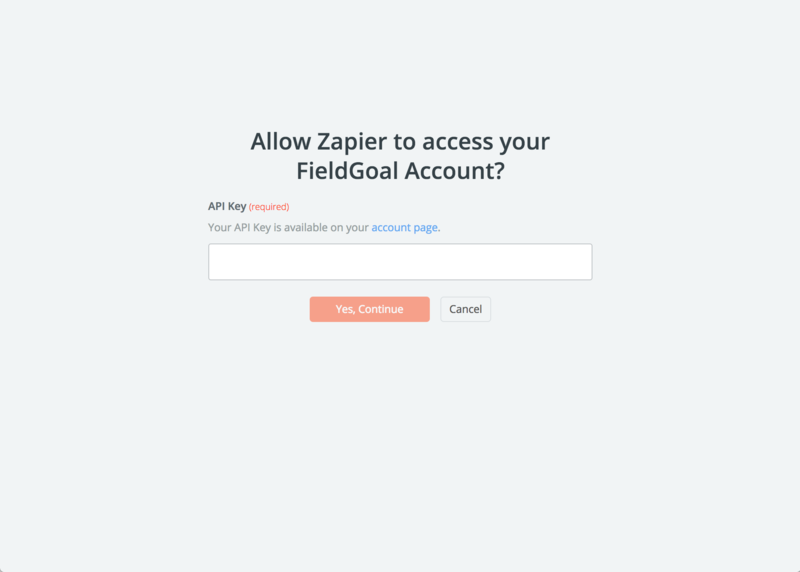 If all steps were successful your FieldGoal account will now be successfully connected.